This chapter is the first of three to explore how theoretical ideas are realized in Gao’s plays. Offering an overview of all of his French language plays, this chapter concentrates on Gao’s first play written in French. Offering a brief textual analysis, the chapter looks at the structure of the text and how it demands a different performance style and thus creates a different aesthetic sensibility. To support this, the chapter looks at the play in a production at the Théâtre des Halles in Avignon. 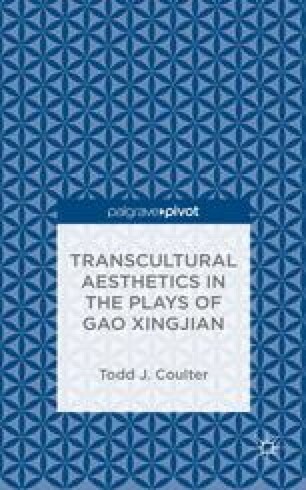 The chapter provides an analysis of how the play and production use traditional jingju aesthetics and concludes with the suggestion that Gao creates meaning through neutrality.